Russia's President Vladimir Putin is facing an ugly combination of soaring inflation and zero economic growth. 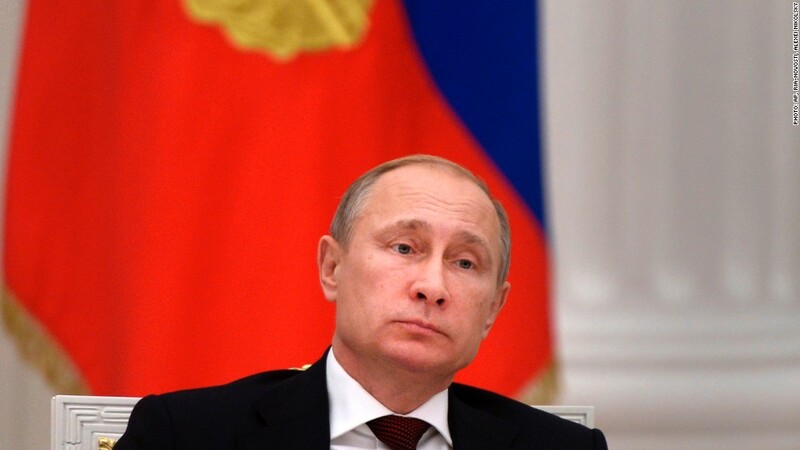 Russia's economic crisis just keeps on getting worse. The central bank hiked interest rates for a fifth time this year on Thursday, taking them up to 10.5%. That compares with 5.5% at the start of 2014. It had little choice given soaring inflation and a plunging ruble, but the latest move will pile on the agony for an economy that has ground to a halt. The central bank has effectively written off the next two years, saying it doesn't expect growth to return until 2017. Currency: The ruble has crashed by 40% against the U.S. dollar since the start of the year in reaction to a tense stand-off with the West over Ukraine. This makes it much more expensive for Russian families and companies to buy items imported from other countries, and pushes up costs for businesses that have borrowed abroad. Inflation: The falling currency has fueled a spike in prices. Consumer price inflation is expected to hit 10% by the end of the year, making everyday items much more expensive for Russian families. The central bank aims to keep inflation around 4%, but that's now seen as completely unrealistic. Oil: Plunging global oil prices have slammed Russia because it depends on its massive energy sector to power the economy. About half of the government's revenue comes from oil and gas exports. Oil is currently trading around $61 per barrel, but had been trading above $100 per barrel in June. Sanctions: Russia's annexation of Crimea, and support for rebels in eastern Ukraine, prompted many Western nations to slap sanctions on Russian companies and officials. Russia has responded with counter sanctions, banning the import of many European food items. These sanctions have wreaked havoc on business and investor confidence in Russia, but have also hurt Germany, Moscow's biggest trading partner. Investments: The freeze in relations with the West has caused investors to pull their money out of Russia. Some $120 billion is expected to leave the country this year. Another $80 billion could follow in 2015.